Welcome to JM Overhead Door Co.! Since 1978, we’ve been Ventura’s top choice for quality garage door installations and repairs. Our team can handle anything related to garage doors, and because our highest priority is customer satisfaction, we’re pleased to offer free estimates. We are your local trusted experts in high cycle torsion spring replacement! Finding a reliable local business to handle your garage doors in Ventura, CA can seem like a challenge if you don’t know where to look. Fortunately, JM Overhead Door Co. is here to provide all the necessary garage door services you might need, from repairs to installation. 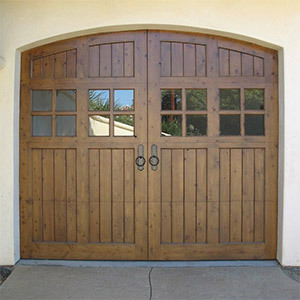 Although there may be other companies in town that say they can repair garage doors, work on garage door openers and provide the level of service you expect, only JM Overhead Door Co. has the expertise that comes along with decades of experience in this industry, and our first priority is always to make sure our customers are pleased. Regardless of what kind of garage door system you might have, at one point or another, everyone with a garage needs garage door services in Ventura, CA. Since 1978, JM Overhead Door Co. has worked on all kinds of systems and in all capacities, so you can rest easy knowing our licensed technicians are on the job. As a family owned and operated local business, we know how important having a working garage door in Ventura, CA can be. We offer dependable and long lasting garage door installation and repair services. We are experts in high cycle torsion spring replacement. We work with only the finest brands in the industry. Our garage door service in Ventura, CA is always high quality and delivered with a smile. We’ve been a proud family owned and operated local business since 1978. We strive to offer competitive and transparent prices on all our products and services.